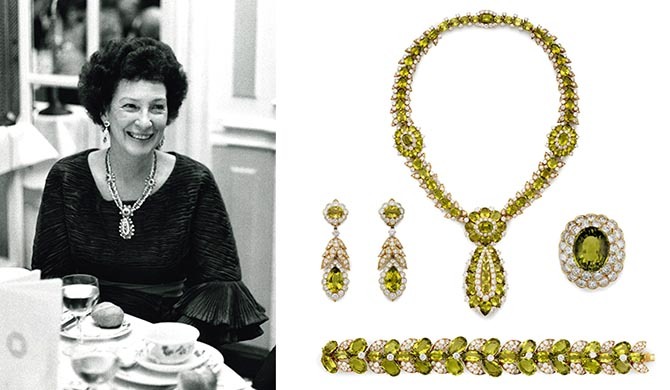 BREAKING NEWS, November 25, 2018—Van Cleef & Arpels has announced it bought back the peridot suite from the Rockefeller collection sold at Christie’s in New York on June 12, 2018. 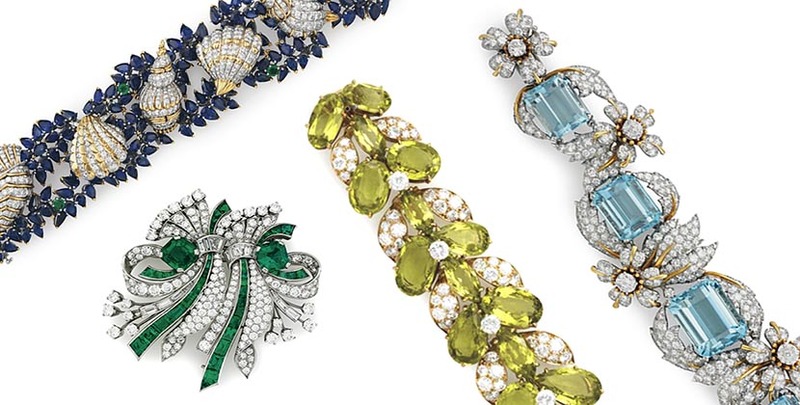 The jewel is on display among other historic creations in “Masterpieces from Van Cleef & Arpels Collection” at the Petrovsky Passage boutique in Moscow until January 13, 2019. Find out about the history of the design and other pieces from the Rockefeller collection in our story from the archives that posted at the time of the Christie’s sale below. David Rockefeller was famous for his collection of modern art. The masterpieces he accumulated and inherited from his family composed the most successful American art sale in Christie’s history. Over $100 million was the staggering total raised at the historic event on May 9. 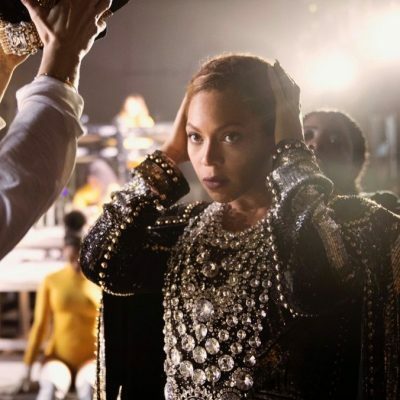 With the additional proceeds from the decorative arts and other things in the estate that have recently gone on the auction block, the tally adds up to an astonishing $832 million. All the funds are benefiting charities that Peggy and David Rockefeller supported during their lifetimes. 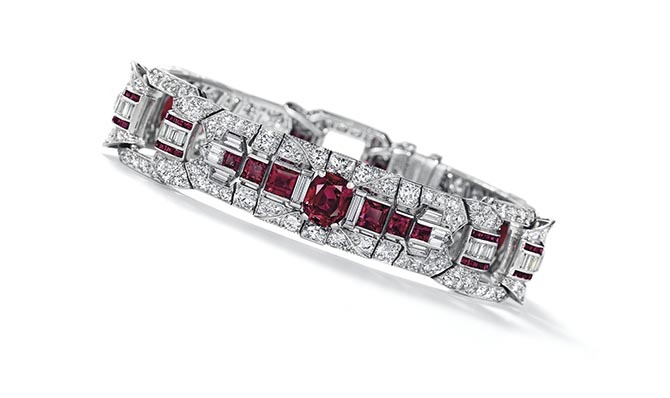 Nineteen lots of jewelry form the final portion of the estate being sold by Christie’s in New York on June 12, 2018. The selection reveals a less well-known side of Rockefeller’s aesthetics: a passion for gems. “My grandfather took great pleasure in beautiful pieces and carefully chose jewels for my grandmother,” explained Ariana Rockefeller who sits on the board of the David Rockefeller Fund. 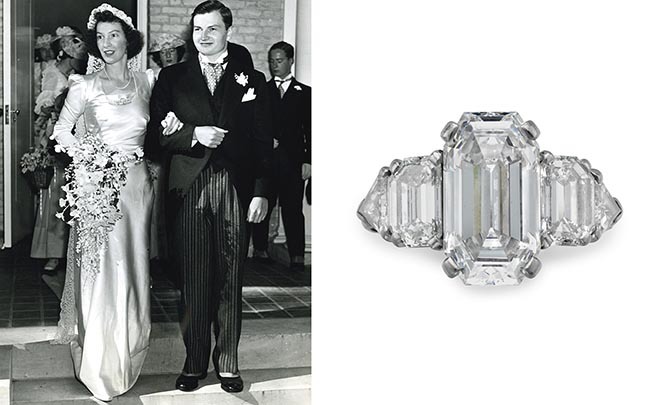 “He had a love of sapphires.” It’s a gem with history in the Rockefeller family. One of the most extraordinary blue sapphires in the world was owned by David Rockefeller’s mother Abby Aldrich Rockefeller. His father John D. Rockefeller, Jr. acquired it from Raymond Yard. 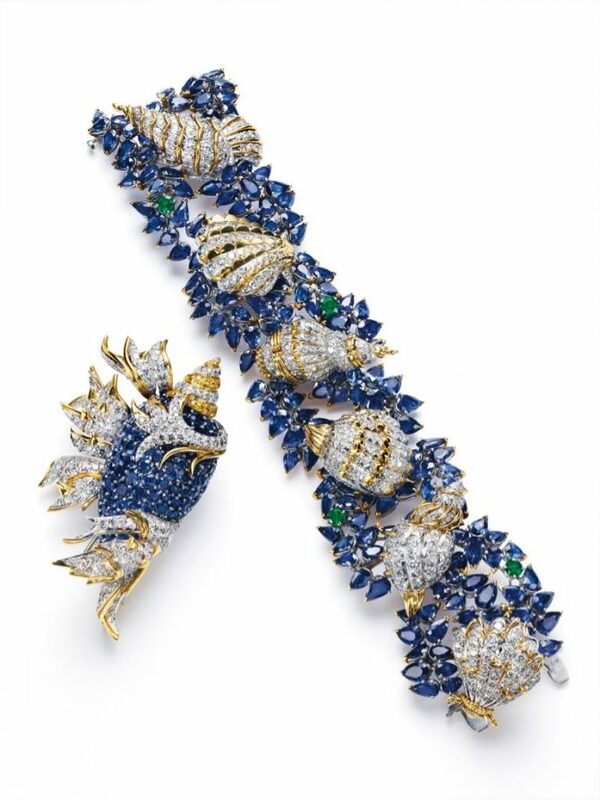 While there are incredible pieces in the David and Peggy Rockefeller Collection from some of the most well-known names in jewelry—Jean Schlumberger for Tiffany and Van Cleef & Arpels—the majority come from Raymond Yard. The New York establishment was the equivalent of the family’s local jeweler. John D. Rockefeller, Jr. formed a relationship with Raymond Yard when he was a salesman at the esteemed New York fine jewelry firm Marcus & Co. Rockefeller encouraged Yard to open his own business which he did in 1922. 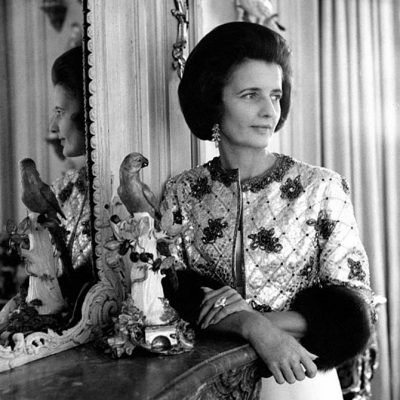 Yard’s establishment was immediately successful as he provided the Rockefeller family—and their friends—with superb American style Art Deco jewels. Yard also acted as a consultant on major gem purchases for the Rockefellers. The funds raised by the sale will be distributed in any number of special ways. “My grandfather wanted money invested in the communities where he lived,” explains Ariana Rockefeller. “We focus on the smaller organizations and grassroots foundations.” One example is Puppies Behind Bars. “Inmates are given a puppy and tasked with training the puppy and providing them with a specific form of work. Another beneficiary of the Foundation is Girl Be Heard, a program that provides theater training for girls to build self-confidence and empowerment. “Now with the infusion of funds from the sale, we will be able to take on a lot more grantees,” says Ariana.